On December 4, 2014, St. Petersburg, Russia hosted a Bitcoin conference featuring several speakers who gave lectures on the business and regulatory implications of Bitcoin. 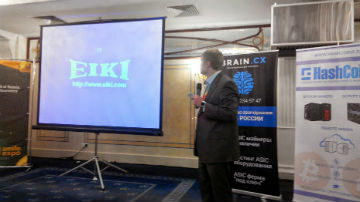 This event was one out of several in a series of conferences across Russia organized by Bitcoin Conference Russia. Two other conferences have been planned by these organizers, and will take place in in Moscow, Russia and Kiev, Ukraine in 2015. Speakers at these conferences include Roger Ver, Max Krupyshev, and Ivan Tikhonov. Bitcoinist has received a report from one of the attendees of Bitcoin Conference St. Petersburg. Therefore, we will be providing a summary of the topics covered during the conference. We will not be able to fit all of the information provided to us in one article, though, so we will be publishing multiple articles covering Bitcoin Conference St. Petersburg. Bitcoin Conference St. Petersburg was held on December 4, 2014, starting at 9:30 AM. Over 100 people attended the conference, which featured speakers from various countries. To promote the event, Bitcoin Conference Russia, the organizers of the event in St. Petersburg, held a competition from November 10 through November 17, in which participants had to come up with a nickname for Bitcoin. The winners were determined by the amount of “likes” the nicknames received on a social network, and then received tickets to Bitcoin Conference St. Petersburg. As conference attendees reported for registration, they were greeted by an exhibition hall, featuring a few different Bitcoin companies. 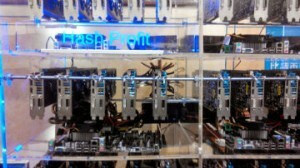 There were two main attractions, however; Hash Profit, a Bitcoin mining rig producer, set up a large Bitcoin miner in the exhibition hall. 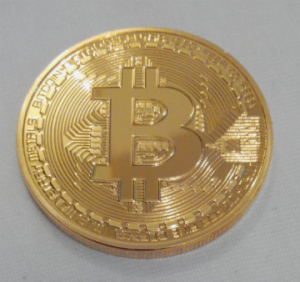 The second main attraction was a 3D printer, which printed plastic Bitcoin tokens for the attendees. Now that we have given a brief overview of Bitcoin Conference St. Petersburg, we will provide a summary of the lectures given by the four main speakers. This article will cover Alex Fork’s lecture on Bitcoin as a cultural experiment; following articles will cover the rest of the speakers, as well as the roundtable discussion. The first speaker at Bitcoin Conference St. Petersburg was Alex Fork, the author of the very first Russian book on Bitcoin — titled, Bitcoin: More than Money. Fork’s lecture focused on the challenges Bitcoin creates for mainstream thought in the financial and regulatory world. According to Fork, Bitcoin is more than money, it is the next step in societal evolution. As civilization and humanity in general evolve, so too must the institutions that provide the foundations for society. Arguably the most important of these institutions are the financial and economic infrastructures of the various societies. Economies serve as the basis for the rest of human civilization. Cultural development often revolves around the quantity and quality of resources available to individuals in a community; art and entertainment evolves along with economies, tending to become more refined and nuanced as overall wealth grows. The very fabric of society –everything that we consider beautiful or essential to the collective human experience– arises from man’s ability to conquer the degrading forces of nature and surpass the level of bare sustenance. Essentially, the whole cultural aspect of humanity hinges upon our capacity to overcome the material requirements of survival. Therefore, in order for society to continue its advancement, the financial and economic structure of society must advance as well. Fork said that Bitcoin may be that advancement, and its revolutionary character has baffled regulators — they simply do not know what to do with Bitcoin. One of the most challenging aspects of Bitcoin is that it has no legal or physical boundaries. Unlike the various paper currencies of the world, which are tied down to governments and geographical areas, Bitcoin is a truly global currency. No single government can control Bitcoin’s supply or manipulate its value through monetary policy; the only thing that determines Bitcoin’s purchasing power is the intensity of individual demand for Bitcoin — it is ultimately governed by the people who use it, rather than a central authority that creates it. The lack of boundaries has led some governments to take a reactionary approach to the digital currency and make moves towards banning it outright. Alex Fork says that banning Bitcoin is a mistake, for the features of the currency offer the potential to tremendously improve society. Low transaction costs, the self developing nature of the open source protocol, and the sheer power of the Bitcoin network –which is 150 thousand times larger than the total power of the 500 best supercomputers in the world, according to Fork– give Bitcoin enormous potential for improving lives across the globe. The development of the Bitcoin market will not be seamless, however, and Fork highlighted that fact by pointing out a major problem with Bitcoin. Fork said that Bitcoin mining centralization is a significant problem for the Bitcoin economy, and that it needs to be fixed in order for Bitcoin to flourish. After pointing out the need to address Bitcoin mining centralization, Alex Fork ended his lecture on a positive note. He reiterated his opening statement that Bitcoin is not just a new financial instrument, but rather is a cultural experiment that has the potential to advance society as a whole. What do you think about Alex Fork’s idea that Bitcoin is a cultural experiment? Let us know in the comments below, and keep on the lookout for additional Bitcoin Conference St. Petersburg coverage! Images courtesy of Alexander, an attendee of Bitcoin Conference St. Petersburg 2014.